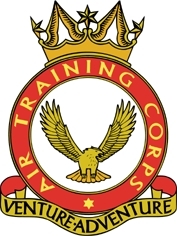 The Air Training Corps is part of the Air Cadet Organisation (ACO) which also includes RAF Sections of the Combined Cadet Force (CCF), the Air Training Corps is a voluntary youth organisation supported by the Royal Air Force. With almost 41,000 members, aged from 13 to 20 years, within over 1,000 Squadrons, the ATC is one of the country’s premier youth organistions and the world’s largest youth air training organisation. The Cadets are supported by a volunteer Staff of nearly 10,000 plus 5,000 Civilian Committee Members.